Top-quality Upholstery Steam & Dry Cleaning Isleworth TW1 | RDA Cleaning & Maintenance Ltd.
Our company provides expert upholstery cleaning services in Isleworth TW1 area. With years of experience behind our back RDA Cleaning & Maintenance Ltd. has managed to provide quality home and office cleaning services at affordable rates and great final results. All of our upholstery cleaners are experienced, fully insured and ready to tackle all nasty spills, spots and discolorations. Give us a call at 020 3404 1646 or use our booking form and our call center reps will quickly respond and offer you a great deal. We can book you a same day appointment. No extra fees. Sofa And Chair Cleaning Isleworth TW1 Performed Without Flaw! RDA Cleaning & Maintenance Ltd. aims to maintain high-quality chair & sofa cleaning Isleworth TW1 services to our customers. Our business model allows customers to easily book whatever they need. In addition to that we keep our cleaners to the same standard of both work ethic and technical ability. Each team member has been trained by Prochem in a rigorous 1 month long training seminar. When it comes to cleaning supplies we also take the extra mile and provide only the best in detergents and cleaning supplies. All is supplied by Prochem, we use 100% bio-degradable detergents which allows us to safely clean both homes and offices. We take care of your safety when cleaning, so you don’t have to think about it. RDA Cleaning & Maintenance Ltd.'s experienced upholstery cleaners in Isleworth TW1 had worked with a wide range of upholstery material and types of furniture. We can comfortably clean suede, settee, cotton, silk, Kashmir, plush, wool, synthetic, blends between synthetic and natural fibers, nubuck, sisal, leather and a lot more. 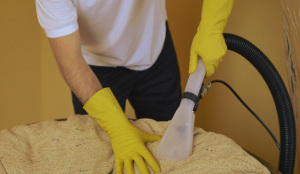 Waste no more time, call us at 020 3404 1646 and book your professional upholstery cleaning Isleworth TW1 today. Our services are deposit free; no contracts or other obligations, simply book and your upholstery will be quickly cleaned by the best upholstery cleaning team in the entire Greater London.